An extended hook and receiver to hold a door open. Available in different lengths and also a silent pattern with a taper fitting hook and tighter jointed hinge knuckle. 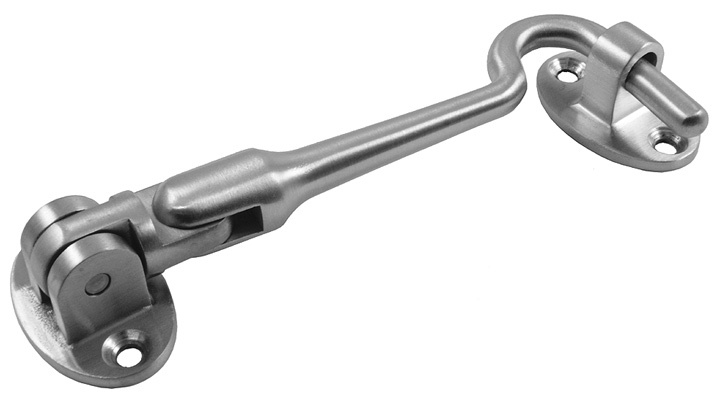 Images below show a stainless steel silent cabin hook as well as a brass cabin hook.